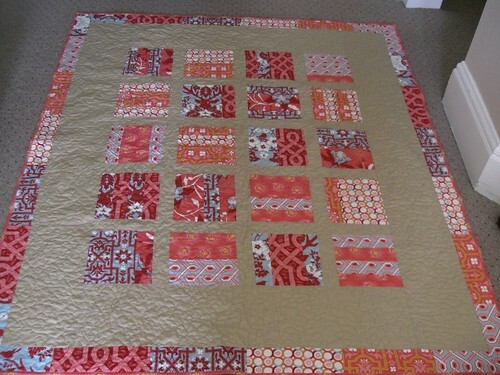 Great quilt, don’t think it is too minimal at all. Isn’t it funny how we have so many have to dos? All your efforts were worth it. Your cousin is going to love this quilt. I think it is “Guy Gorgeous”. yikes – sorry to hear about your machine! 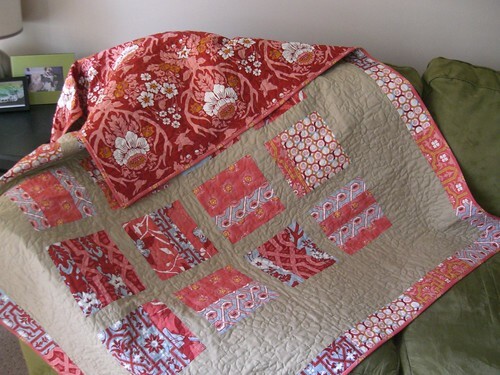 This quilt looks gorgeous though, I love it!